Comments Off on Adopt this fansite! Do you love Hailee Steinfeld? If so then you should adopt this fansite from Free Fansite Hosting. Just ask! Hi guys i’m Laura. I am the brand new owner here at Hailee Steinfeld Source! I have one other Site on the web and its of the amazing Gracie Dzienny. To start off with i have given the site a brand new layout, as well as a gallery layout! Be sure to check them out as i love them! I have started to do a little updating with the gallery, i have added untagged photoshoot images of Hailee for Nylon Magazine. Make sure to check them out as she looks pretty as usual! Met Ball 2014,Pitch Perfect 2 and more! Comments Off on Met Ball 2014,Pitch Perfect 2 and more! Hailee attended this year’s Met Ball and was named “Best Dressed” by many magazines and fashion sites! She also announced on twitter April 30th that she was to play a role in the Barden Bellas.She is now filming and recording for that. Updates for both of these will be up soon! Comments Off on NYLON magazine cover! Hailee has a lot of things coming up for her! She recently tweeted out her NYLON magazine cover!She has got some gorgeous photoshoot pictures and so I have updated the gallery here for you guys to see! Hailee also attended the Hot Pink Party to raise awareness for Breast cancer.You can find pictures from the event here. 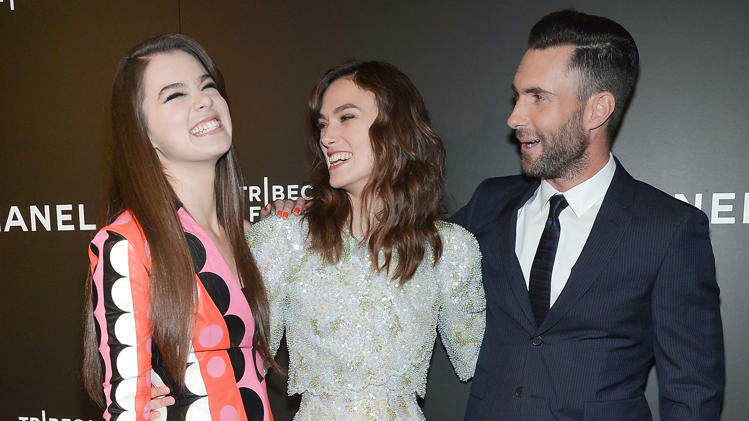 Yesterday Hailee attended the premiere for “Begin Again”(previously known as Can a song save your life?) at the 13th annual tribeca Film festival. She looked fabulous,as always and was accompanied by fellow co-stars,Keira Knightley and Adam Levine. I have added some pictures to the gallery for you to see here.